Dr. Leach is responsible for assessment of mental health needs and treatment planning. He also conducts counseling sessions. Dr. Leach is dedicated to helping clients find healthy and effective ways to feel better and reach their potential. He uses a collaborative approach with the aim of turning difficult life situations into opportunities for personal growth. Clinical interests include psychological and cognitive assessment, evidenced-based treatment for depression and anxiety, and effective stress management. 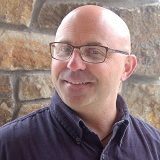 Dr. Leach earned his doctoral degree in clinical psychology from the University of Denver. Joseph is a CAC II therapist with an undergraduate degree from Allentown College of Saint Francis de Sales in Center Valley PA and a Master of Divinity and Master of Theology from Mary Immaculate Seminary in Northampton PA. Joseph worked at Saint Michael Community a residential treatment program in Saint Louis, Missouri and at Hospitality House, an outpatient addiction treatment program in Philadelphia, PA and DePaul University working with students in Chicago Illinois. Joseph joined Harmony four years ago and is currently the Team Leader for the Harmony Men’s Program. Lois completed her BSW at Augsburg College in Minneapolis, MN in 1983. During her undergraduate training she was afforded the opportunity to complete a practicum with Hazelden in Plymouth MN. She was subsequently hired to work as a technician and found this experience with addiction to become a passion in her career. Lois received her MSW from CSU in 2011 and is currently an LCSW, CACIII. She has worked in a variety of clinical settings to include Medical, Psychiatric, Hospice, Addiction all of which has given her a rich experience to understand individual clinical needs. Trent has an undergraduate degree from University of Colorado, Boulder in Psychology. He is a CAC III men’s primary therapist at Harmony Foundation. He joined Harmony six years ago after working for a year as DUI Counselor. 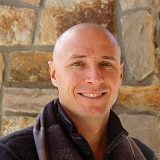 Trent has over 13 years of sobriety and utilizes his recovery experience and clinical best practices in CBT to help clients find support in their early recovery from addiction. Ashita is a graduate of Christ University, Bangalore, India with a Master’s of Science in Psychology (Clinical). She completed a Masters in Addiction Counseling from Hazelden Betty Ford Graduate School of Addiction Studies in Center City, MN. She worked in an addiction treatment facility in India and worked with both men and women at Hazelden Betty Ford. Parker has a Master’s in Clinical Mental Health Counseling with an emphasis in Transpersonal Wilderness Therapy from Naropa University in Boulder, CO. Parker has a combined 9 years of experience working in community mental health, therapeutic and educational group work, residential treatment, professional training and consultation, experiential education, and trauma therapy. Most recently, Parker was working with The Blue Bench in Denver, CO, providing therapy to survivors of sexual violence and other forms of trauma. Parker has worked primarily with clients from marginalized communities and brings a social justice lens to all client interactions. Parker believes an intersectional and trauma-informed approach is necessary for understanding the disease of addiction and its impact. 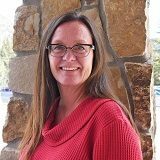 Penny is a CAC III therapist who has facilitated the aftercare groups in North Denver and Loveland for seven years. She has worked in the field of addiction counseling for the past 12 years. 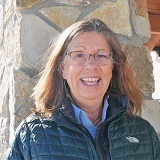 Prior to working at Harmony Foundation, Penny split her time between her private counseling practice and her full time position with a long established addiction counseling firm in Boulder. In this position, Penny developed the firms relapse prevention program and provided supervision and support to CAC I and CAC II staff, as well as facilitated DUI education/therapy, Anger Management, Relapse Prevention and Non DUI Alcohol and Drug Education groups and counseled private clients. She attended Immaculata College in Pennsylvania and Odyssey Training in Denver. Penny has almost 20 years of recovery from addiction and is a passionate proponent of the power of recovery. James has an undergraduate degree in theater at DePaul University in Chicago, IL and a Bachelors in Psychology from Evergreen State College in Olympia, WA. James has worked with a diverse group of people over his 20 year career, including the homeless in Portland, Oregon. 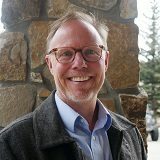 He has worked in both psychiatric, detox, residential and outpatient programs helping individuals with both mental health and substance use disorders. He currently runs the Young Adult Recovery Track at Harmony helping young adult clients identify those issues that contribute to substance use behaviors and building in healthy coping skills to stay sober. James is no stranger to mental health and addiction issues in his family. He utilizes his personal experiences to help clients at Harmony. 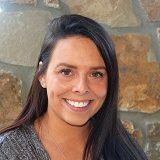 Michelle is a graduate of Wilmington University, New Castle, Delaware with a Master’s of Science in Clinical Mental Health Counseling. She is a member of the American Counseling Association and has earned her National Certified Counselor credential. She has experience working as a Counselor at a treatment facility outside of Philadelphia serving both men and women with co-occurring disorders. 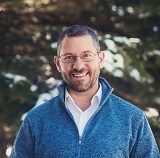 Uric is a graduate of Naropa University, Boulder, CO where he earned a Master’s of Arts in Clinical Mental Health Counseling: Mindfulness-based Transpersonal Counseling. Additionally, Uric earned a M.A. in Science Education from Western Michigan University prior to arriving in the world of addiction and mental health treatment in 2015. Uric’s work within this field began when serving as a practicum student at Harmony. He then worked as a mental health Crisis Therapist within a regional behavioral health agency prior to returning to Harmony in 2019. 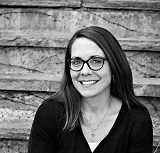 Gretchen has a Masters in counseling psychology with 12 years experience in therapeutic programming, teaching and experiential education. 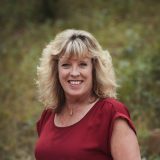 She is a licensed professional counselor and a licensed addictions counselor in the state of Colorado. Gretchen has an extensive work history treating adolescents and young adults and their families. Her primary therapeutic approach is relational therapy. 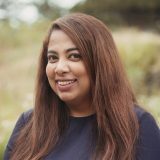 She uses evidence-based approaches such as CBT and DBT as well as experiential and gestalt therapy, mindfulness, art and wilderness practices. 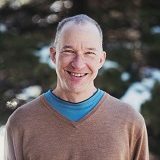 Mike is a graduate of Naropa University with a Master’s in Contemplative Counseling Psychology. In 2009, Mike was ordained a Buddhist monk and Novice Priest after seven years of residential monastic training in Buddhist and Catholic monasteries. In 2017, he finished his ordination training to become a Zen Priest. Mike was raised Christian, and beginning in his undergraduate years, he expanded his exploration of the spiritual realm through meditation, Yoga, and through decades spent in the wilderness working as an internationally certified Mountain Guide and Outward Bound instructor. 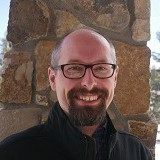 Though Mike is primarily Buddhist, he incorporates a variety of religious, spiritual, psychological, and scientific approaches to his personal and professional practices. Mike has been guiding and assisting others through personal and spiritual transformation in the wilderness since 1993 and in residential treatment since 2006. Denise is a CAC II assessment and TCP counselor. She joined the Harmony team in 2013 first as a counseling tech serving both the men’s and women’s communities, then as the detox counseling tech. With over 8 years of sobriety, Denise is very active in her AA community home group. She often leads meetings, sponsors sober events and volunteers much of her time to help others on their journey in recovery. 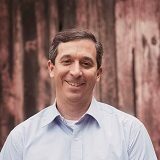 Michael has a Masters in professional counseling and is currently pursuing his doctorate in psychology. Hel has extensive experience working in the private, non-profit intensive outpatient substance abuse treatment environment. Bob brings his strength, hope and experience as an 8 year veteran person in recovery. He has held many positions at Harmony including counseling tech, admissions specialist and most recently clinical case management. 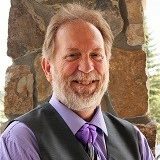 Recently certified as a Recovery Coach, Bob’s focus is to help clients with the next phase of their recovery journey after the complete treatment at Harmony. He works collaboratively with the clients in creating a recovery plan to help them in their early stages of recovery. 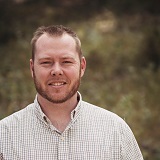 Scott has lived in Colorado for the past 11 years, working mostly in sales and construction. Scott received his undergraduate degree in International Studies from Colorado State University. 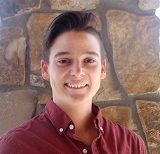 A Harmony Alum, Scott has been with Harmony for just over 1 year, originally working as a counseling tech in the detox, residential, and Transitional Care programs. Now as a clinical case manager, Scott works with the clients to establish continued support for clients in their ongoing recovery. He is a CCAR Certified Recovery Coach and is working towards his certification in addiction counseling.